DFO Perth is now open, and after a massive manufacturing and install effort we’ve got a chance to look at the completed works. We supplied and installed signage on a total of 17 stores. A massive undertaking by any measure. OROTON is a particular favourite, using an illuminated all brass fabricated sign. You read correct – actual natural brass. This material as per the request of the client will age over time, and the colouring will motel as brass does. This’ll be one to watch over time. 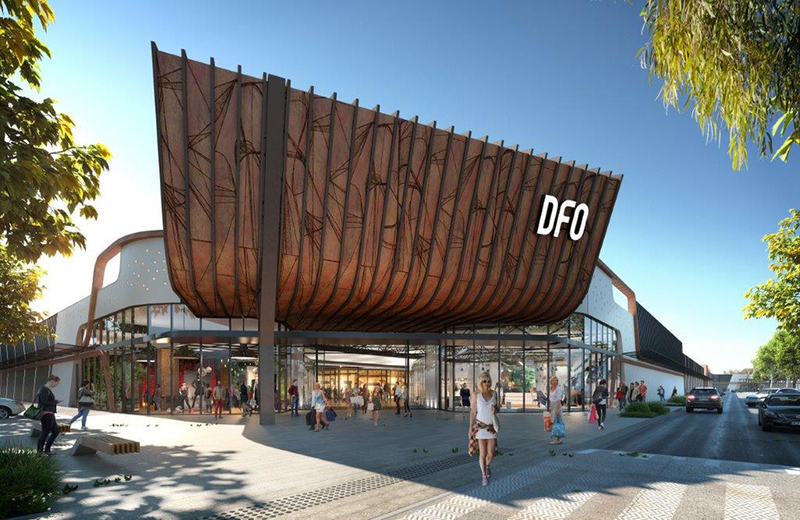 Second store of the DFO Perth list is a crowd favourite. We were resisting temptation while installing the signs at Lindt. We know the chocolate will be the draw card, but we hope the signage is noticed too – this was a store was massive task. To reward ourselves we’ve been through at least 200 Lindt balls in the office & workshop. The Bags To Go store utilised our resin letters for the main fascia for a real clean and true edge to edge illumination look, as well as a scrolling LED digital screen to mimic an airport departure ticker screen. Overall it make for a real simple statement entry with the focus entirely being the product for sale in the store.